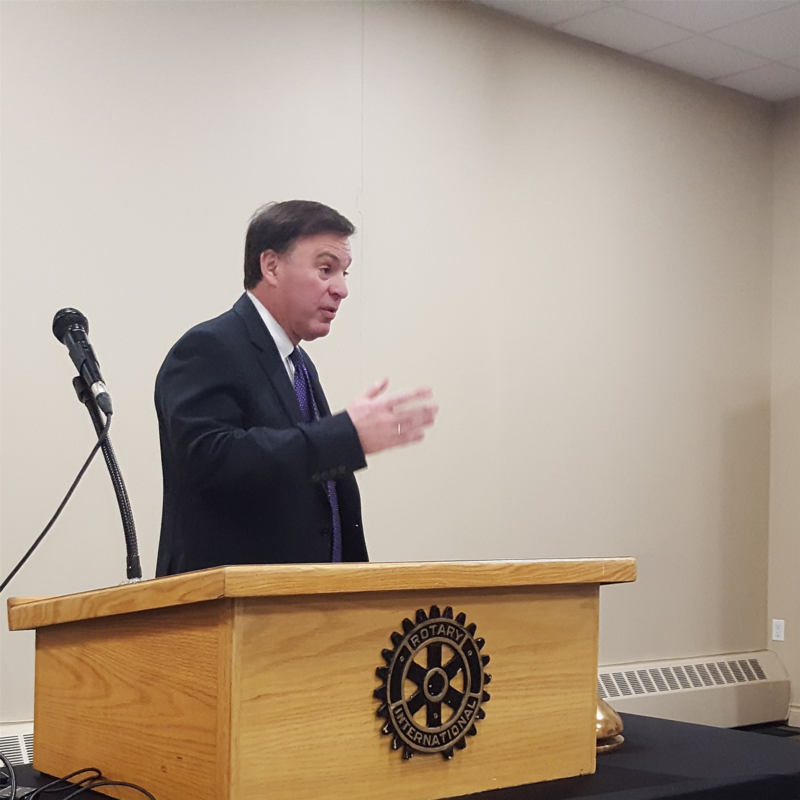 The Rotary Club of Prince Albert was treated to a busy luncheon meeting in which two speakers presented. 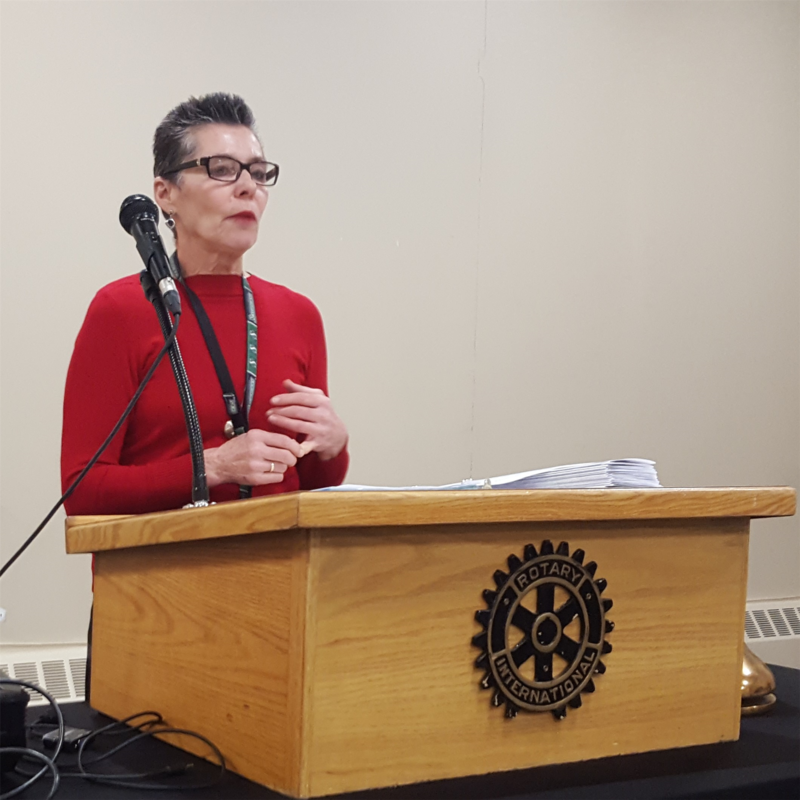 Louise Zurowski who is the Executive Director from Catholic Family Services gave a passionate presentation about the programs the organization provides. Prince Albert Catholic Family Services provides councilling and family education to residents of Prince Albert and area. More information can be found on the website http://www.cfspa.ca/ . Next up was Gord Wyant the MLA for Saskatoon Northwest and one of the candidates running to become the next Premier of Saskatchewan. Mr Wyant gave a brief presentation regarding his belief in the key responsibilities of government and the importance of listening to the people of Saskatchewan. A question and answer session followed where topics such as the environment, taxation, mental health, a new hospital and a new bridge were discussed. More information about Gord Wyant and his campaign can be found at http://www.gordwyant.ca/ .